Can the Trump trade war weaken Xi Jinping's authority and grip in China? China has been using its massive investment in media, foreign educational institutions and think tanks in addition to the little known field of tourism to influence global public opinion in its favour, the Pentagon has said. In a report titled "Assessment on United States Defence Implications of China's Expanding Global Access", the Pentagon said China has made both direct and indirect investments in news media organisations abroad. For example, Xinhua News Agency, which is China's official state-run news agency, launched 40 new foreign bureaus and doubled the number of overseas correspondents between 2009 and 2011. Xinhua counted 162 total foreign bureaus in 2017 and aims to have 200 by 2020, the report said. The report stated that China's President Xi Jinping has urged country's media to tell the world about country's story. "China's expanding official media presence reflects a concerted effort on the part of its leadership to shape opinions about the country and promote China's view on key topics, it said. 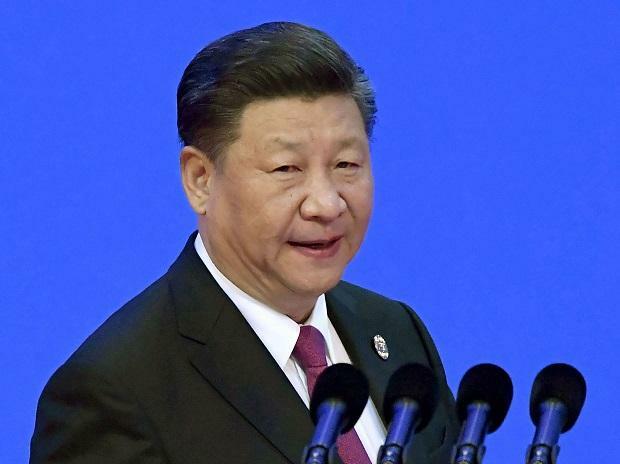 President Xi Jinping urged China Global Television Network, Xinhua's international media service, to "tell the China story well" and "spread China's voice," the report stated. China's official investments in the US media market remains primarily focused on expanding Chinese state-run media organisations. Xinhua and the state-run newspaper China Daily launched operations in the US in 2011 and 2009, respectively. Similarly, in 2012, China Central Television expanded into the United States with CCTV America, the report said. However, the report also mentions that China has obscured its investment in media in the US. A 2015 Reuters report revealed that China Radio International (CRI), a Chinese state-owned entity, was using subsidiaries to mask its control over 33 radio stations in 14 countries, including the US, the report said. These radio stations broadcast pro-China content but have not registered as agents of a foreign government under the Foreign Agents Registration Act (FARA). "The Chinese government also methodically cultivates relationships with private media owners and journalists to encourage them to depict China in a positive light. These efforts demonstrate China's growing desire to shape public opinion on the international stage," the Pentagon said. In the report, the Pentagon said China also seeks to influence global public opinion through other means such as investment in institutions. "China has established and funded Confucius Institutes, affiliated with its Ministry of Education, at over 500 foreign university campuses. The stated goals of these Institutes are to promote the Chinese language and a positive image of China," the report said. "Such institutions inspire students to learn more about China, provide support and resources for educators and school systems to incorporate Chinese language and knowledge in their curriculum, and educate the public about Chinese culture and society, the report stated. Noting that outbound tourism from China has increased significantly over the past decade, becoming a reliable component of revenue for many countries in Asia, the Pentagon said that China's leadership has demonstrated its willingness and ability to restrain tourism as an economic tool to influence countries in order to promote China's interests. "During the 2012 standoff between China and the Philippines over the Scarborough Reef in the South China Sea, China actively restricted tourism to the Philippines. Similarly, from 2016 to 2017, China backed tourism restrictions and public boycotts on South Korea following its deployment of a US missile defence system," it said. The Pentagon warned that China may seek to use tourism-related construction by Chinese construction firms in strategic areas (eg: Guam or Tinian) to monitor Department of Defence activities. In addition, Chinese construction workers often remain in host nations illegally, creating a security vulnerability for nations who have limited enforcement means, it said.